Walking just got easier with Move On. 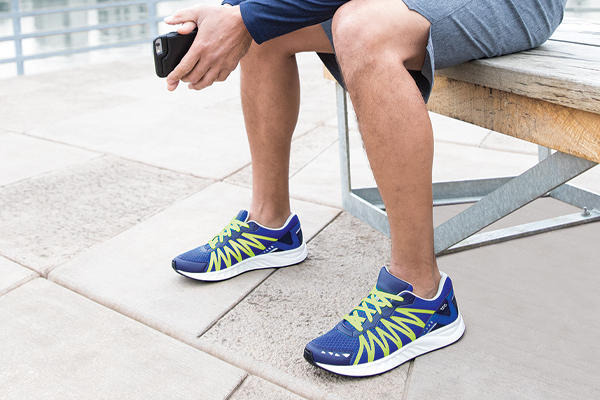 Enjoy cushioned comfort with our innovative TRIPAD® Technology and our soft, lightweight sole. S-Motion Technology® built in aids in the three step walking motion, from initial heel strike, through the mid-step and to the final toe push-off. Medicare Approved: This style in Black, Brown, Chocolate, and Camel have met the standards set by Medicare. Please see your doctor for details and qualifications. Designed on a special Foot-Shape® last to fit and follow the shape of your foot. Move On has a removable SAS contoured Everbounce™ foot bed, Tripad® Technology, and Cushion Outsole to give you a new, all-day comfort walking experience. Initial fit should be wide enough to stay comfortable across the ball of the foot and roomy enough in the front so the toes are not cramped. SAS Contoured Everbounce™ Footbed: The removable SAS Contoured Everbounce™ Foot Bed is made of molded polyurethane, designed to fit and support the contours of your foot while cushioning each step. S-Motion Technology™: Built into our sole, this new technology supports the three-part walking motion, starting first at the cushion heel strike, across the mid-stance (arch), and through the inside ball forward to the final toe end push off. S-Motion™ technology supports natural stride, making way for improved performance walking.